A garage door repair can happen at any time, and a garage door is one of the most basic, yet most fundamentally important, working objects your home possesses. However, when something goes wrong with your garage door or garage door opener all of those little conveniences you’ve so enjoyed are thrown straight out the window, which necessitates its repair. No need to worry about your garage door repairs with Apex on the job. Making repair even more important, is the fact that these moving objects – the words large and heavy both come to mind – can pose a significant risk to your safety should the door suddenly come crashing down. To ensure your, as well as your loved ones, safety isn’t jeopardized by something you once couldn’t live without; it is important that you contact a professional garage door repair company such as APEX immediately. With fully-stocked trucks at their disposal, our technicians can have most problems repaired correctly their first time out. For your peace-of-mind, we always provide free estimates, and never charge more than what was quoted. Designed to last 30,000 cycles, your garage door springs counterbalance the weight of the door, thus making it possible for the door to open and close with ease. But when one or both springs break, this may become a distant memory. Your door’s springs, whether torsion or extension, are under an extreme amount of tension. It is this tension that provides them with the ability to open and close your door on demand. This tension makes broken springs far too dangerous! Always contact a professional garage door repair company if you are need of a torsion spring repair or an extension spring repair. Apex Garage Door & Repair are garage spring repair experts No matter if you are in Phoenix or in Scottsdale or the surrounding areas Call Today we offer 24/7 same day garage door repair services and emergency garage door repair. 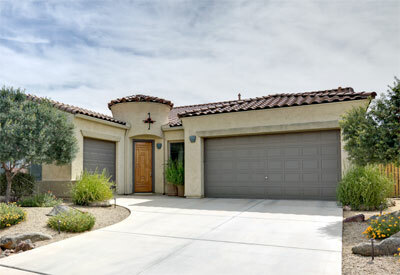 Providing full service 24/7 Emergency Garage Door Repairs: New Garage Doors, Garage Door Openers & Garage Door Springs and all Garage Door Repair Services in Scottsdale, Phoenix, Glendale, Fountain Hills, Chandler, Anthem, Cave Creek, Paradise Valley, Carefree, Tempe, Peoria, Sun City, Surprise, Avondale, Mesa and surrounding areas. We look forward to hearing from you soon!